Areas of contamination can generally be attributed to the following: the quality of air drawn into the compressor, wear particles, and storage and distribution systems. When it comes to food operations, manufacturing or packaging, micro-environments change and exist just like our own environments. This is the result of multiple cycles (seasonal) and daily interactions. Environments such as compressed air systems need to be monitored for many reasons including seasonal changes, microbial growth cycles, and consumer and employee safety. Every breath you take is contaminated with particles: viable and non-viable. On average, these viable microorganisms, like bacteria, yeast, and mold, make up 102 to 106 colony forming units for every 1000 liters of outdoor air (3). Contaminated environmental air is processed into compressed air for food packaging, dusting, and mixing. Unless appropriately sized filters and dryers are placed before each point-of-use, there is a substantial risk of ambient air contaminating the compressed air. 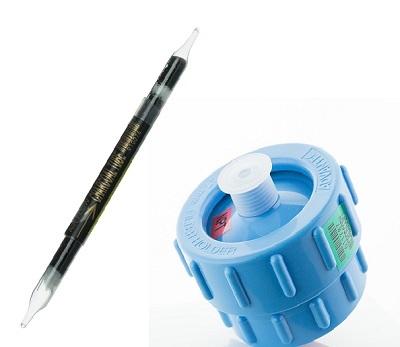 The air receiver and system piping are designed to store and distribute compressed air. As a result, they will also store the large amounts of contaminants drawn into the system. Additionally, piping and air receivers cool the moist compressed air, forming condensate which causes damage and corrosion, and creates a favorable environment for microbial growth. Each facility and product has unique risks depending on its contact with compressed air. Risk assessments and hazard analyses (HAACP) should be conducted to create an appropriate monitoring plan. It’s important to consider the impact compressed air has on product quality, safety, or legal compliance. By investing in a monitoring plan that tracks the bio-burden of high-risk points-of-use and routinely testing for particles (viable and non-viable), water and oil contaminants, a trend analysis can distinguish patterns and correlations in data. ISO 8573-1:…9 is an international standard that lays out the structure for testing and analyzing these types of issues in compressed air specifically. While there are no mandated microbial specifications or limits, ISO 8573-7:2003, focuses on the sampling method to report microbial bioburden (4). Using this technique, a facility can begin to investigate the microbial status of the system routinely by using a third-party accredited laboratory. 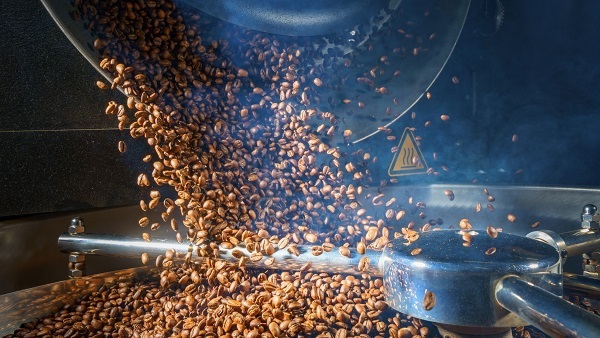 ISO 8573-1:…9 is often referenced by the Safe Quality Food Program (SQF), British Retail Consortium and British Compressed Air Society (BRC and BCAS) and the Food Drug Administration (FDA). The Global Food Safety Initiative (GFSI) endorse food quality schemes made popular by SQF (8th edition), which often references ISO methods. Microbial contamination in compressed air can result in facility closures and product recalls. Both incidences can cause loss of integrity to the brand name. Once confidence is lost, it’s a very challenging endeavor to get back. Utilizing this efficient test method mitigates risks for facilities. Microorganisms can indicate a potential presence of pathogens associated with wastewater, poor hygiene, and loss of protocol integrity. A microbial analysis of total plate count and the identification of indicator organisms is immeasurably important when considering food safety and quality. 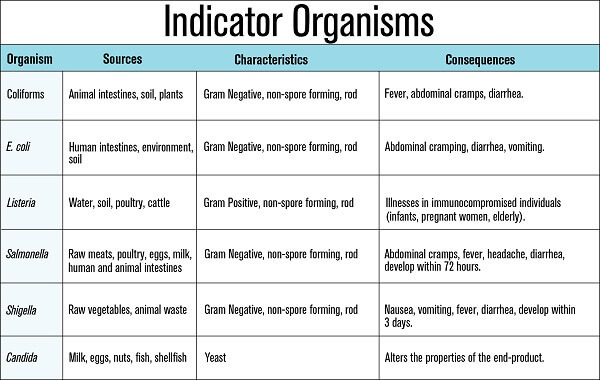 “Indicator organisms” are those microorganisms that typically demonstrate the potential presence of pathogens, faulty practices that may affect safety or shelf life, or that the food or ingredient is unsuited for an intended use. Microbial plate counts are a snap shot of a moment in time in the compressed air system at that particular point-of-use. Routine monitoring allows a better picture of the system over time. Unexpected high microbial counts can be identified by examination of samples at critical control points and by facility inspection (5). Total plate counts allow end-users to understand how many colonies are found in their compressed air sample. The limitation to these counts is the lack of microbial differentiation. Even if the reported plate count remains unchanged over time, the microbes themselves may be different. For example, a total plate count of 4 colonies in January could reveal different organisms than a plate count of 4 colonies in June. These different types of microbes might influence taste, smell, and or general quality. Therefore, further identification or differentiation is of value to trend analysis, food scientists, and quality officers. Presumptive identification is an efficient mode of lab analysis used to differentiate the colony forming units on the compressed air test plates. 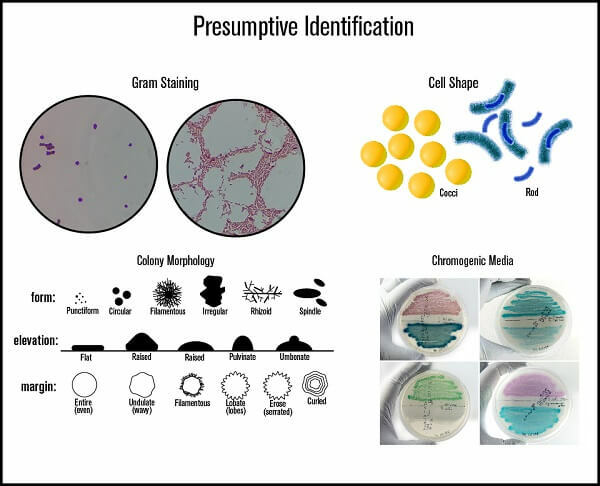 Presumptive identification relies on the color, colony morphology, growth on selective media, Gram stain and other enzymatic reactions to identify a bacterium, yeast or mold. This is often sufficient for use in general surveys or monitoring plans to determine the presence of indicator organisms. However, some presumptive identifications have limitations that require confirmatory techniques via molecular, immunological or biochemical tests for definitive identification. One type of presumptive technique is chromogenic identification for bacteria or yeast. Chromogenic microbiological media uses enzymes, chromogen substrates, and secondary metabolites as a color indicator for early identification. This chromogenic agar is selective and differential to certain organisms. This allows their identification via growth, color and or inhibition. Chromogenic agarose allows for rapid and reliable detection of bacteria like, Listeria, Salmonella, Shigella, E.coli and coliforms. They are identified by colony color on their specific chromogen agar and can be read as quickly as 24 hours post incubation. While there are limitations to chromogenic identification, it is a quick and economic way to screen for specific pathogenic organisms. Coliforms are groups of rod-shaped, Gram-negative, non-spore-forming bacteria that are likely to show up if protocols for sanitation and hygiene fail. They are not a type a bacterium, rather a group of similar bacteria that are commonly found in soil, surface water, plants and the intestines of warm blooded animals. Some common types of coliforms are Escherichia coli, Klebsiella pneumoniae, and Enterobacter species. E. coli, a type of facultative anaerobic coliform and Gram-negative rod, is readily found in all human intestines (enteric), the environments, soil and water. One of the harmful strains of E.coli called E. coli-O157 produces a secondary metabolite called Shiga Toxin (STEC). This harmful strain of E. coli can cause abdominal cramping, diarrhea, dehydration, and occasional vomiting. Listeria is a facultative anaerobe, Gram-positive, non-sporing rod. Listeria monocytogenes is the causative agent of listeriosis, the disease characterized by flu-like illness and other more serious conditions, including meningitis, pneumonitis, and septicemia. While many species are non-pathogenic, Listeria monocytogenes is a well-established food poisoning risk. It can be found in uncooked meats and vegetables, as well as unpasteurized dairy products. Its ability to cause disease is due, in part, to the bacterium’s ability to survive and grow at refrigerated temperatures. Salmonella is a Gram-negative, facultative anaerobe, rod-shaped bacterium. Salmonella is one of the most common causes of food poisoning in the United States. Usually, symptoms last 4-7 days and most people get better without treatment. Symptoms of the disease are diarrhea, fever, abdominal cramps and vomiting. Salmonella is killed by cooking and pasteurization. Sources of Salmonella are particularly found in reptiles, amphibians, and birds. Outdoor compressed air units are often susceptible to salmonella contamination due to bird and animal feces. Shigella is a Gram-negative, facultative anaerobe, non-spore-forming rod. Animals and humans who contract Shigellosis shed the bacterium in their feces. It can take as little as 100 bacterial cells to cause symptoms. Though rare in developed countries, contaminated food or water are sources of infections in developing countries and crowded living conditions with poor sanitation. Symptoms include sudden abdominal cramping, fever, diarrhea, nausea and vomiting. Candida is a yeast and an integral part of the natural environment and human microbiota. Invasive yeast infections associated with food are less common than foodborne mold infections, and are almost always linked to dairy products (9). Some Candida strains are commonly found in raw fermented dairy products, and can grow in ultra-pasteurized cow’s milk. While symptoms of Candida infections range from person to person, most result in bowel inflammation. Candida also impacts the taste quality of the food or beverage. No regulatory bodies demand that plants test more than once a year for particles, water, total oil, and microbial contaminants. Yearly testing, though budget-friendly, does not provide the most effective and useful data for trend analysis. It does not account for seasonal or maintenance changes. Yearly testing, however, does provide a snapshot of the compressed air system and meets the current requirements of SQF, ISO 8573-1, and BCAS. For example, in one of the most highly publicized bacterial strains to hit the news in the United States, numerous outbreaks of E. coli-O157 and E. coli-O26 contaminated lettuces and ground beef were reported to cause illness, so much so, expansive recalls and multistate investigations were conducted (7,8). Millions of dollars of time, revenue, product loss and reputation were lost at the end of 2018. 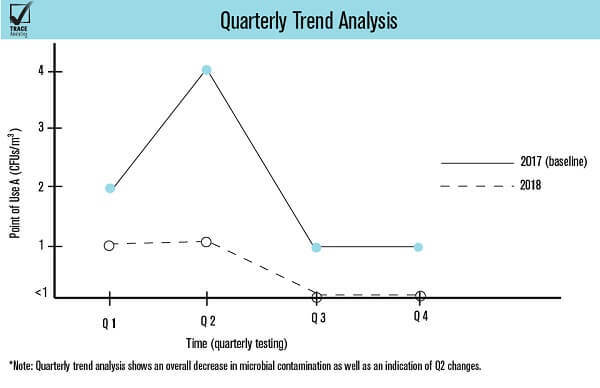 By testing biannually or quarterly, a trend analysis can reveal cycles and seasonal changes in a compressed air system. Investing in a monitoring plan that tests compressed air systems more frequently saves time, money, and energy by catching contamination outbreaks before product quality is affected. Environmental air is contaminated with microorganisms. If in compressed air systems, proper filtration and processing is not employed, the air that is compressed will also be contaminated. Chromogenic agar can rapidly test for indicator organisms such as but not limited to, Coliforms, E. coli, Listeria, Salmonella, Shigella and Candida. 2. Imdad, A., Retzer, F., Thomas, L.S., McMillian, M., Garman, K., Rebeiro, P.F., Deppen, S.A., Dunn, J. R., & Woron, A.M. (2018). 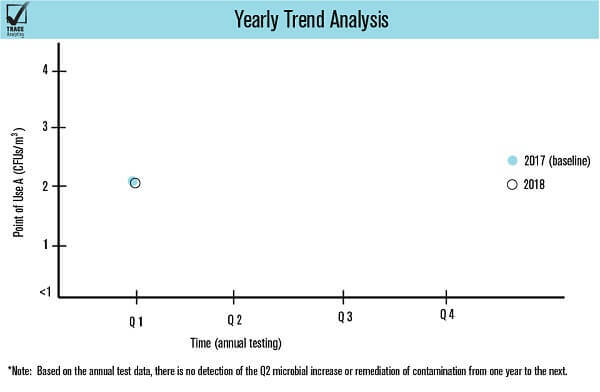 Impact of culture-independent diagnostic testing on recovery of enteric bacterial infections. Clinical Infectious Diseases, 66, 1892-1898. 3. Prussin II, A.,J., Garcia, E.B., & Marr, L. C. (2016, March 6). Total virus and bacteria concentrations in indoor and outdoor air. Environmental Science and Technology Letter, 2(4), 84-88. 9. Benedict, K., Chiller, T.M., and Mody, R.K. (2016, April 13). Invasive fungal infections acquired from contaminated food or nutritional supplements: A review of the literature. Foodborne Pathogens and Disease. 13(7), 343-349.